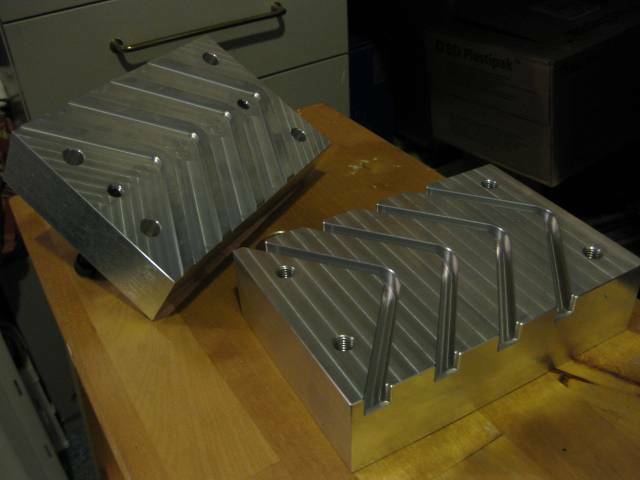 Most of the moulds for the Spline model, we will build in GFK, but some of the moulds we mill directly in aluminium. 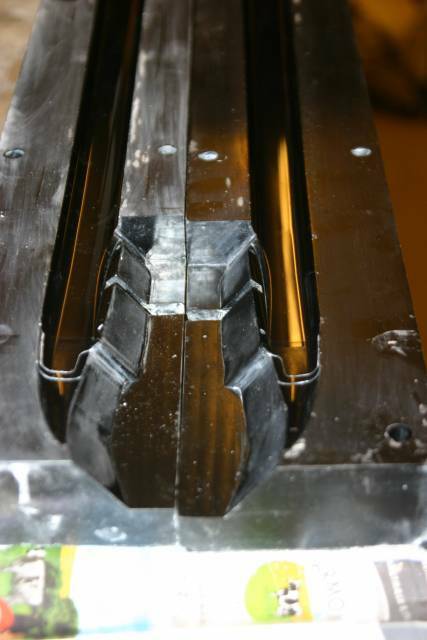 The mould is doing both the left and right linkage in one time. 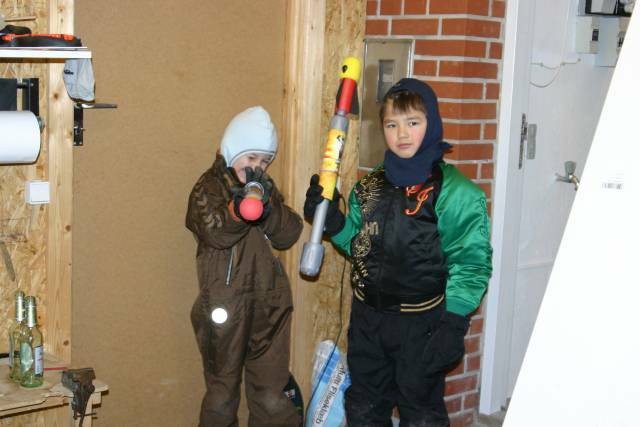 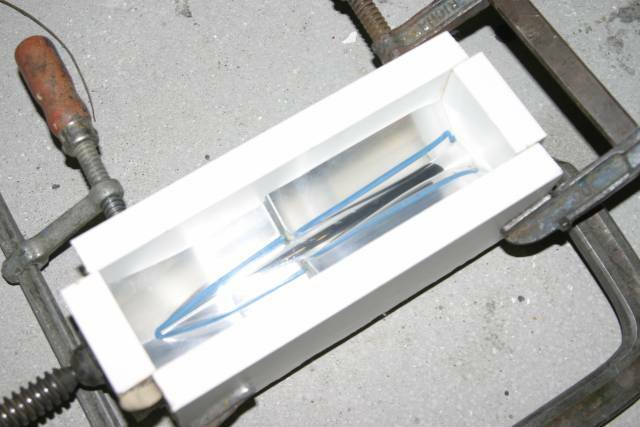 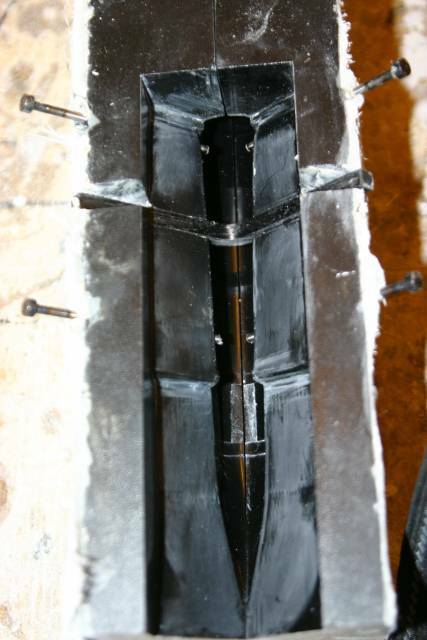 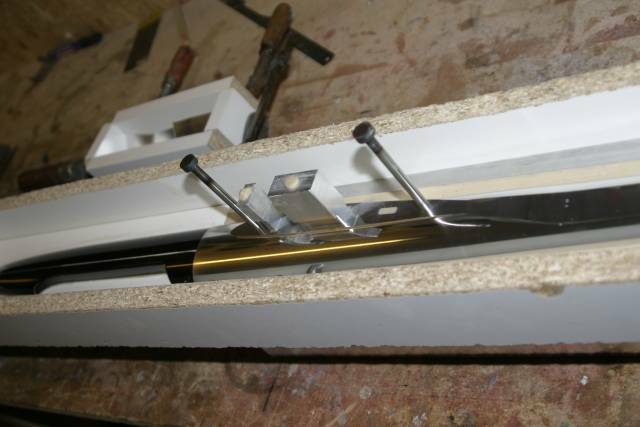 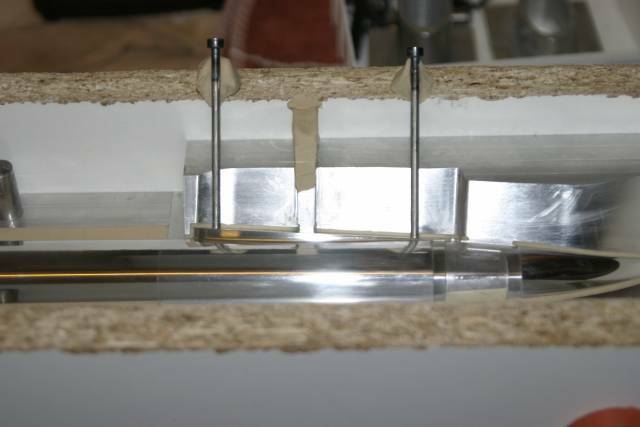 The idee is to put in a CFK tube filled with rovings and epoxy, then close the mould , and then press ekstra epoxy in the mould trough the little hole in the middle, to fill out the remaining air in the cavity. 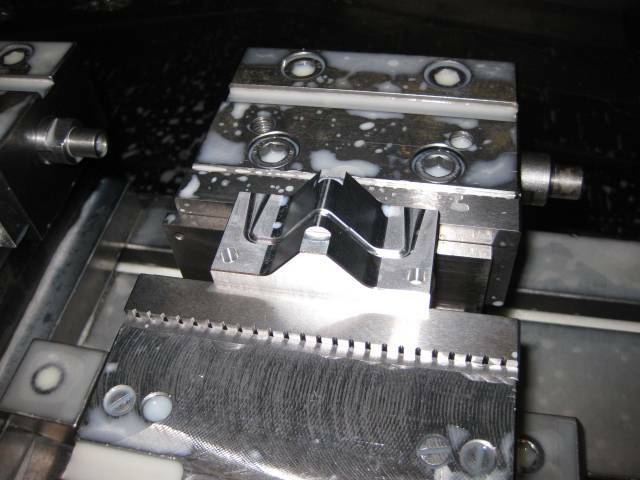 The one mouldhalf still in the Matsuura after milling it. 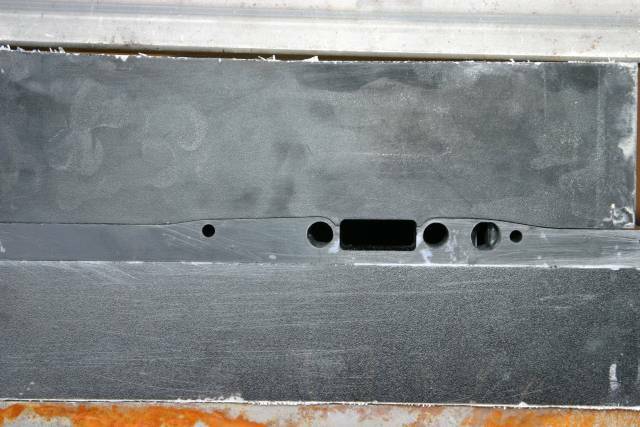 This is the (4 cavity) mould for the V-tail joiner. 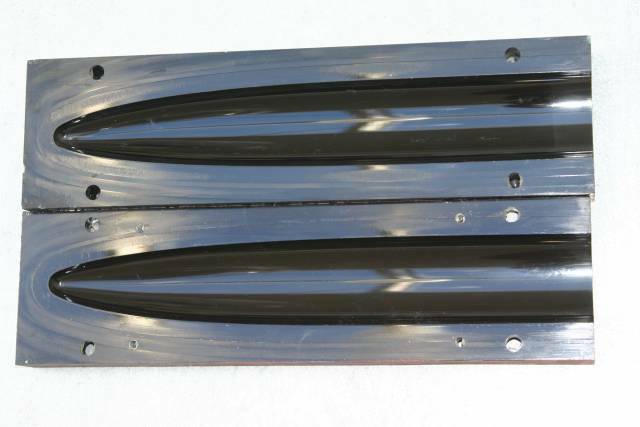 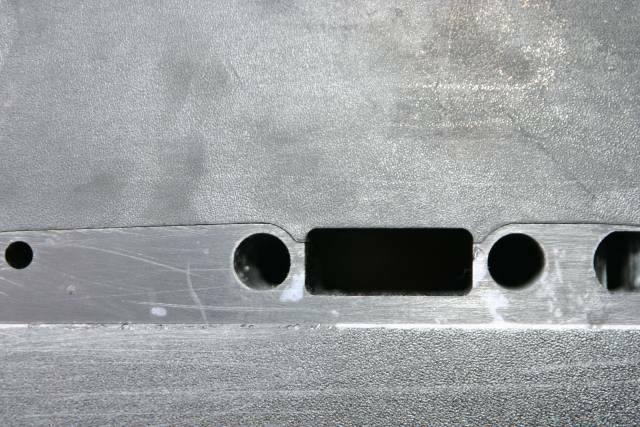 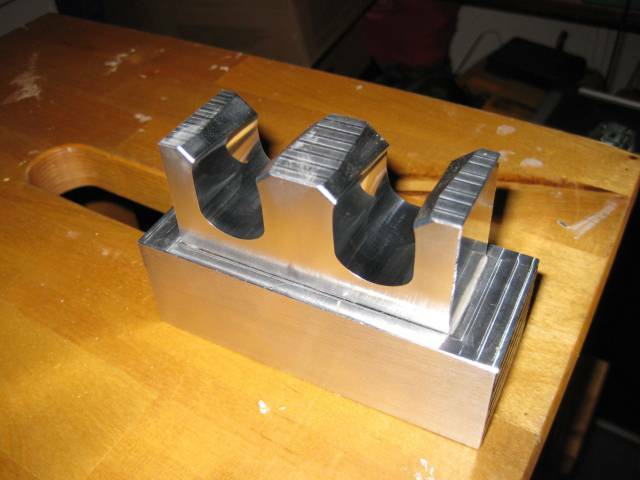 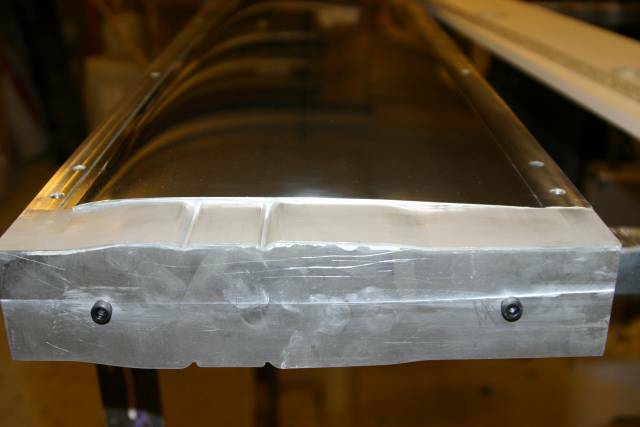 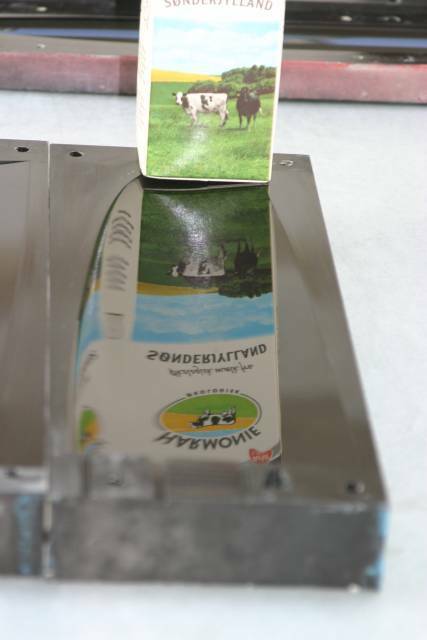 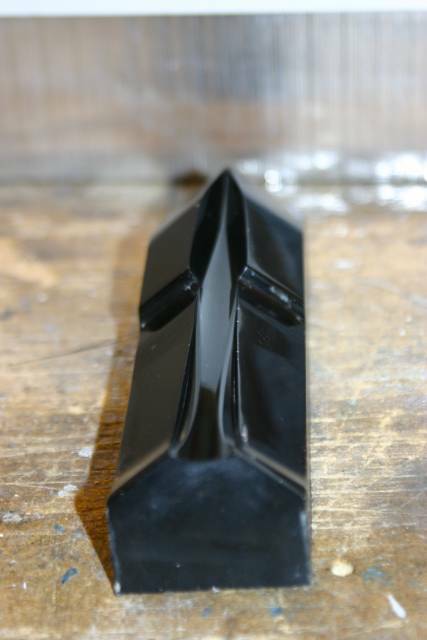 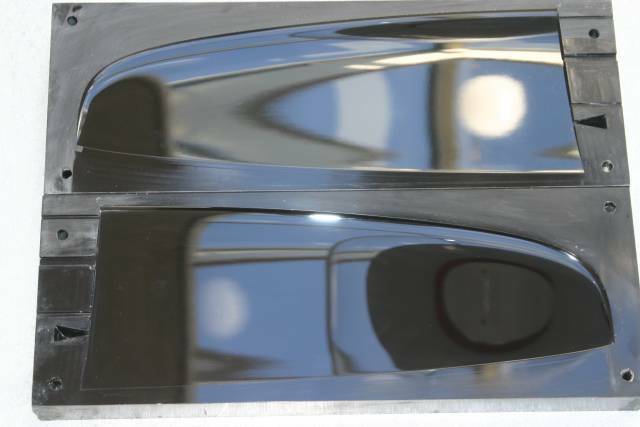 As the top part of the mould have 2mm high V´s , and the mould has round "run-ins" it is both possible to pull the rovings trough or/and compress the rovings by screwing the mould the last millimeter together with the rowings in the mould. 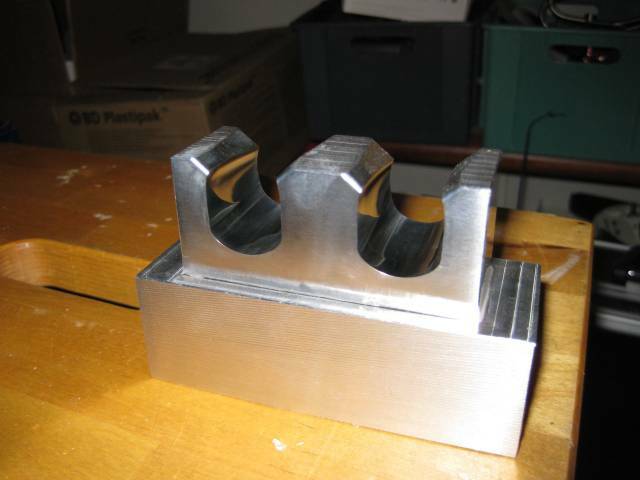 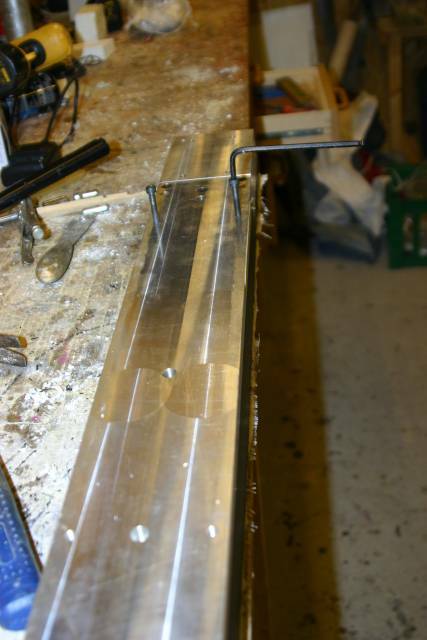 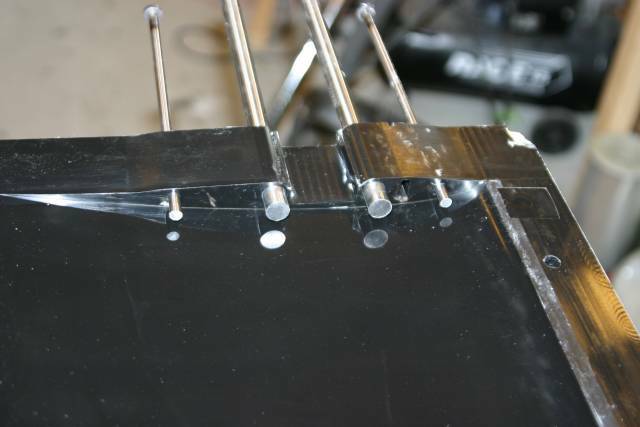 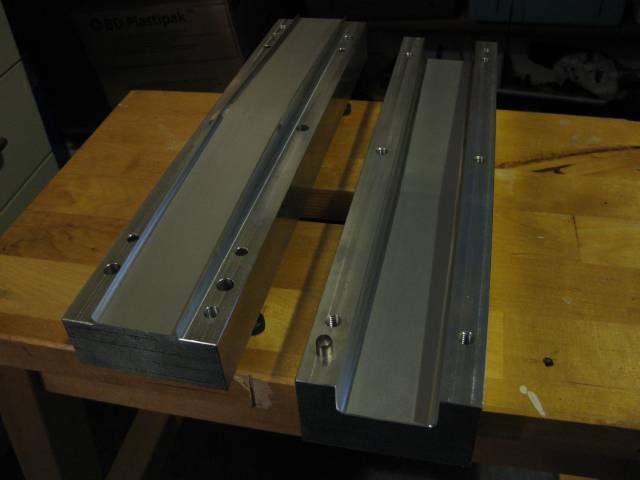 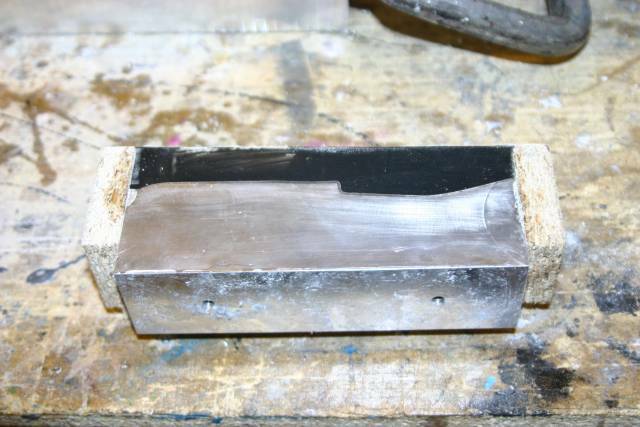 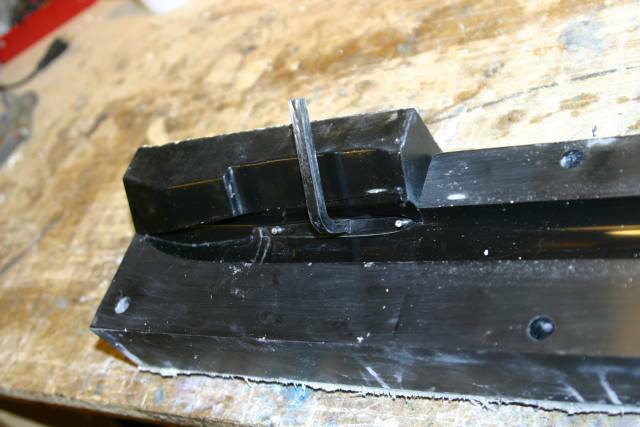 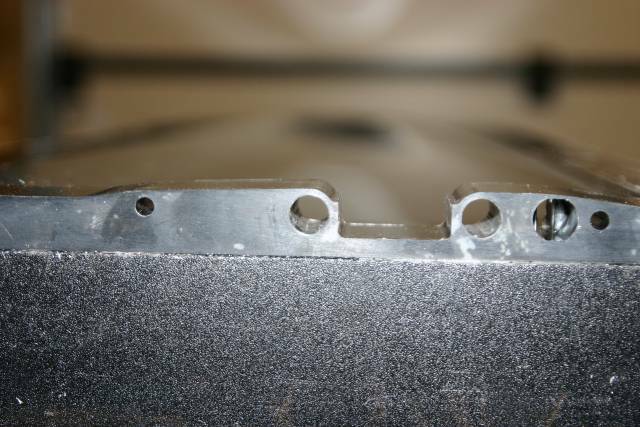 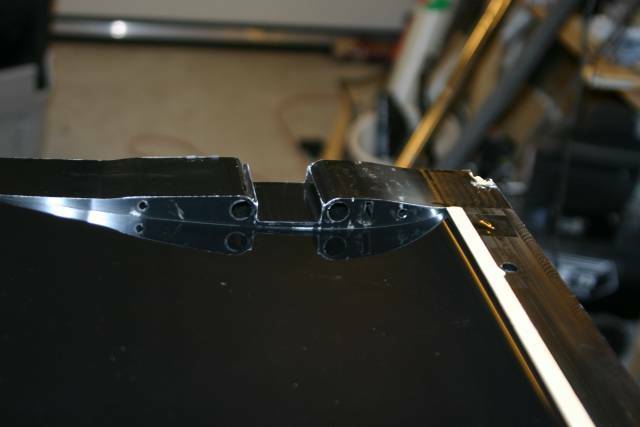 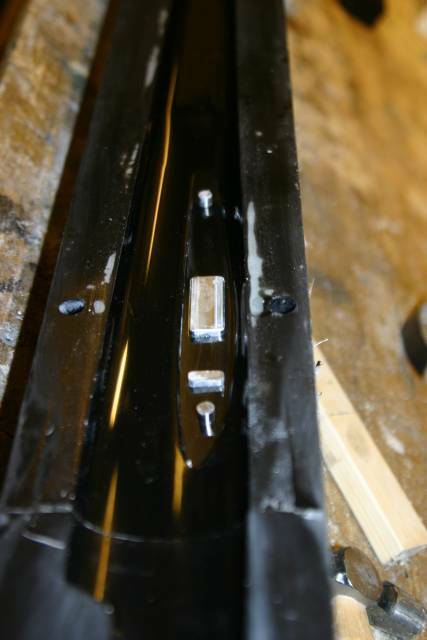 2 cavity mould for the Cover for the V-tail linkages. 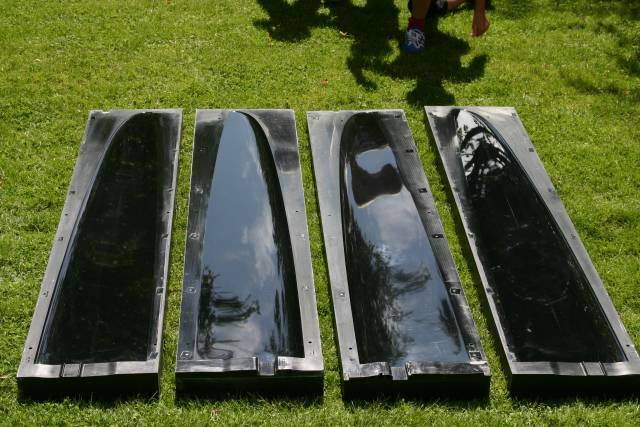 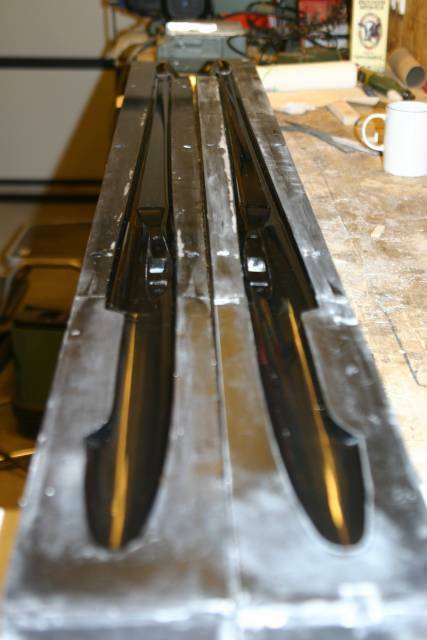 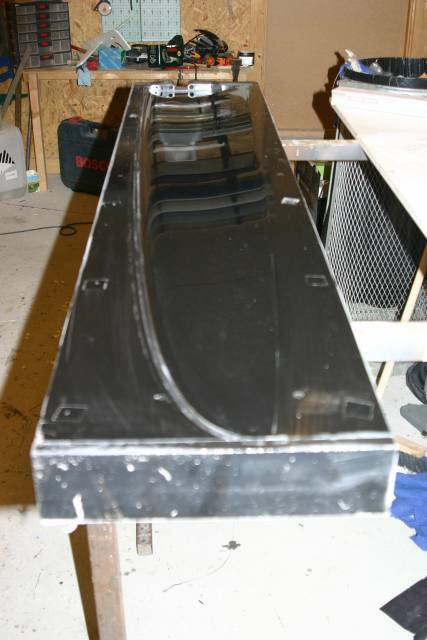 The 2 first moulds for the V-tail is ready ! 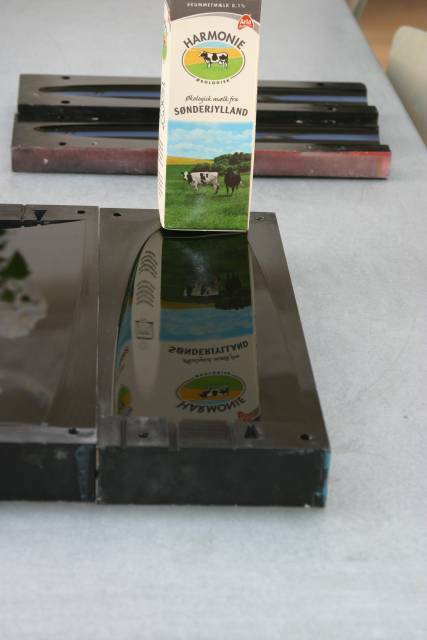 So we try again ! 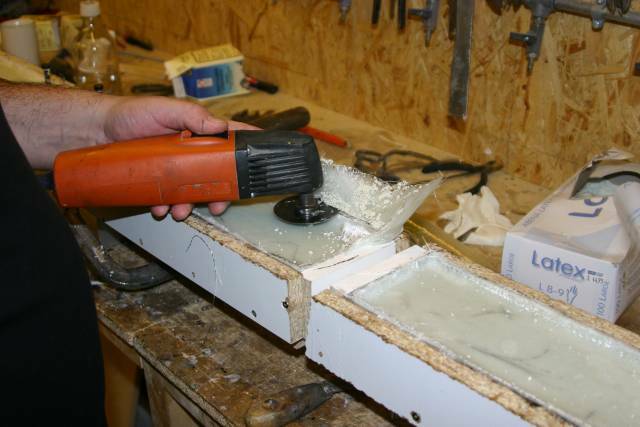 The next V tail mould is mutch better ! 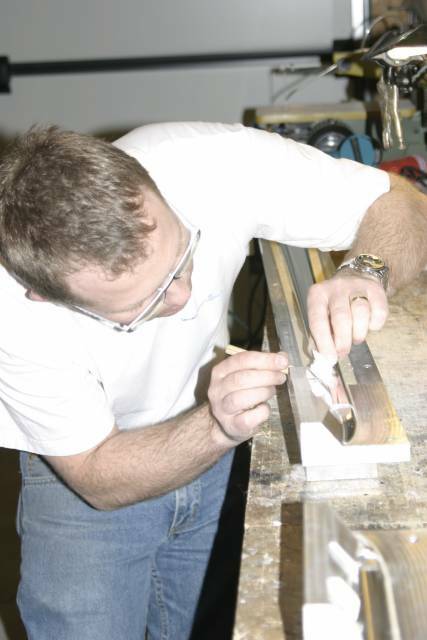 John is preparing the positives for building the moulds for the fuselage. 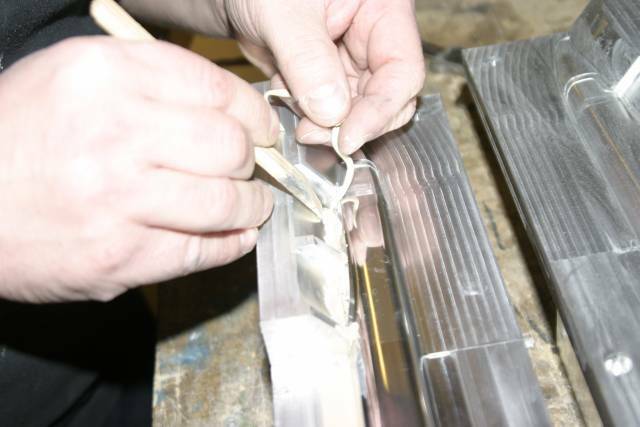 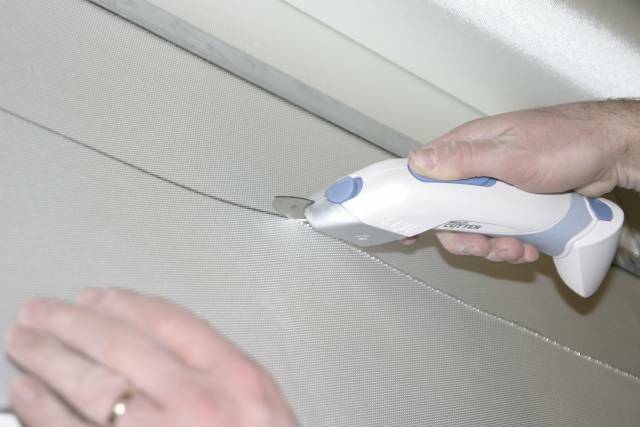 We are using some modelpaste to fill all the grooves around the cavity with. 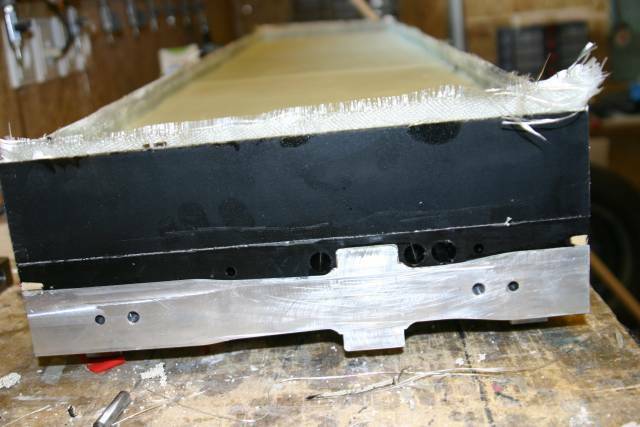 Also the small mould for the top of the fuselage is ready to be moulded over. 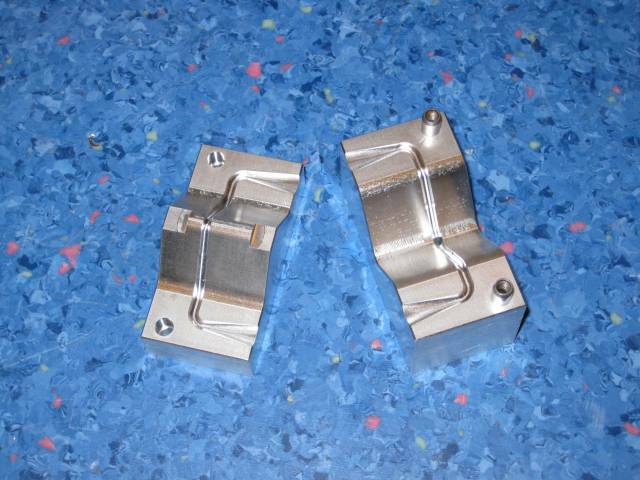 2 ejectorpins for making the holes for the guidepins for the v-tail. 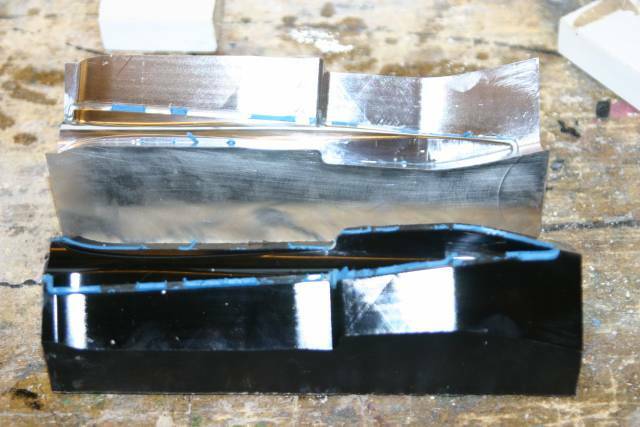 We have decided to build the fuse and innercone in one piece , so John has made some innercones from the RaceM moulds and we have integrated them with the alu-positives. 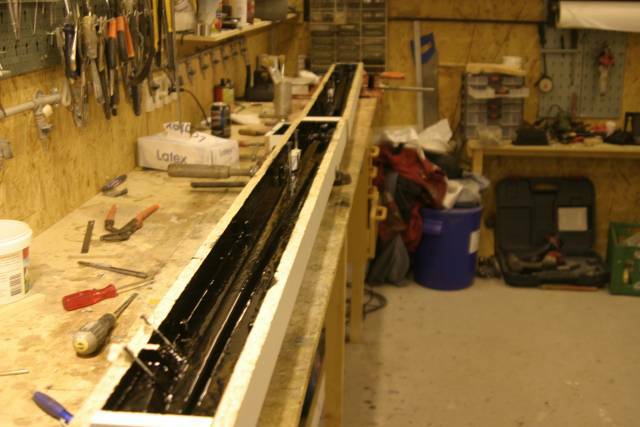 The frames are mounted all the way around. 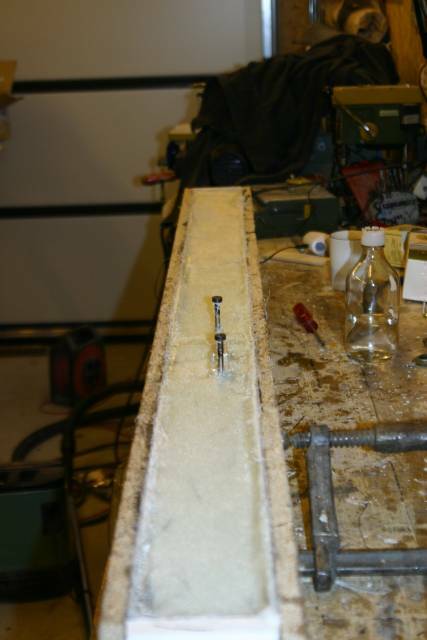 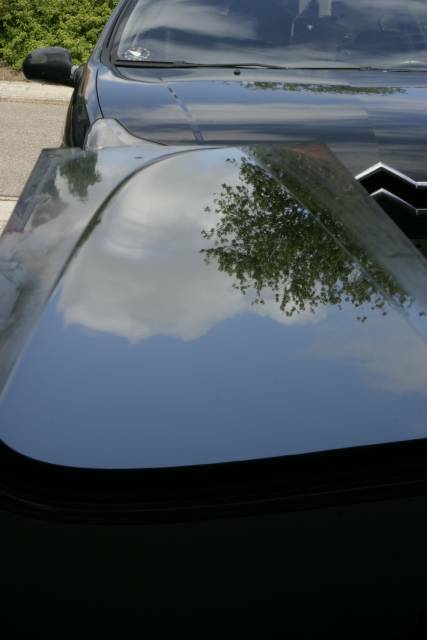 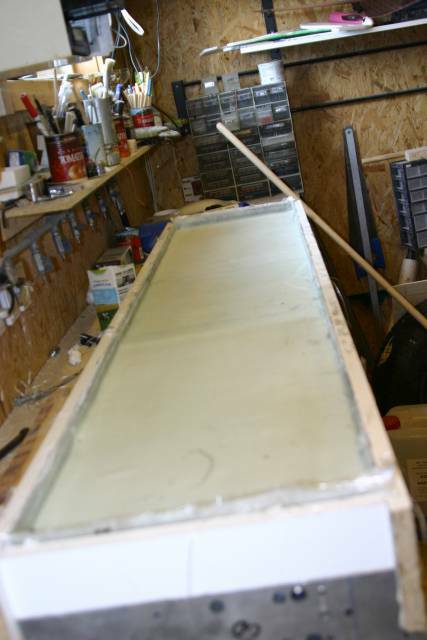 Epoxy with Cottonpowder in all corners and edges, and the first layer 105g/m2 glasfibre. 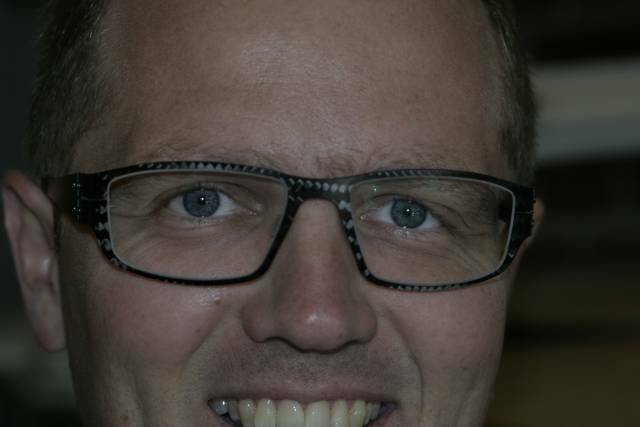 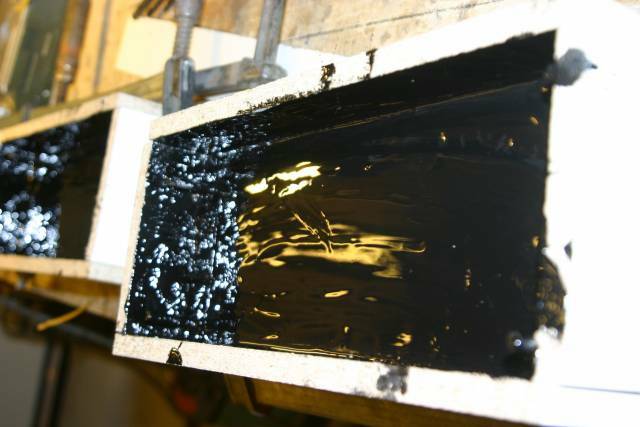 After that we use 3 layers of 660g/m2 glasfibre. 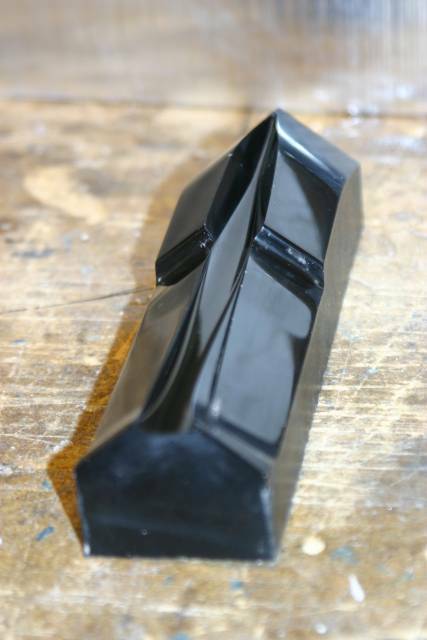 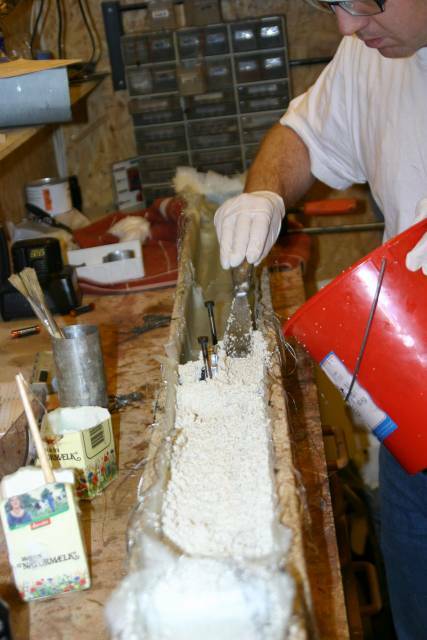 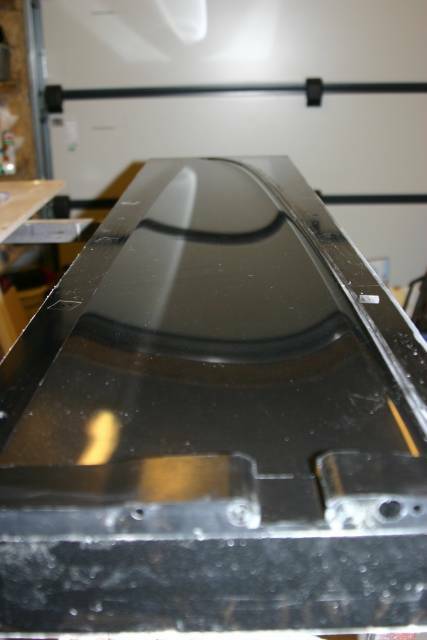 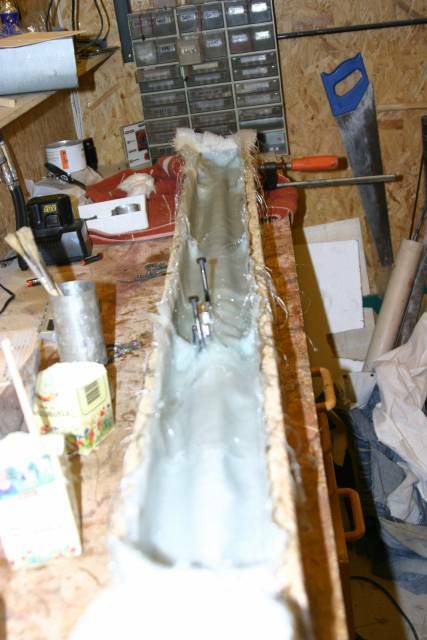 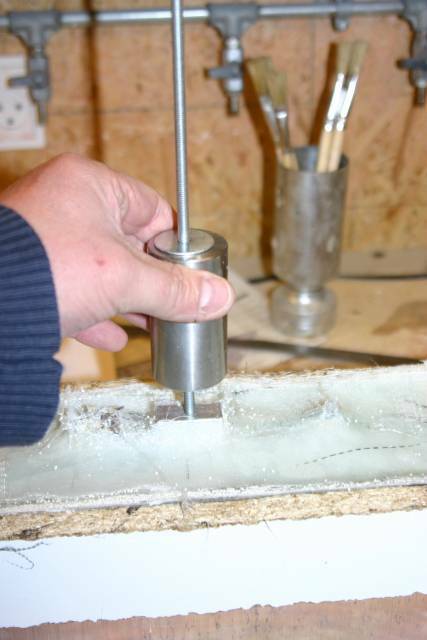 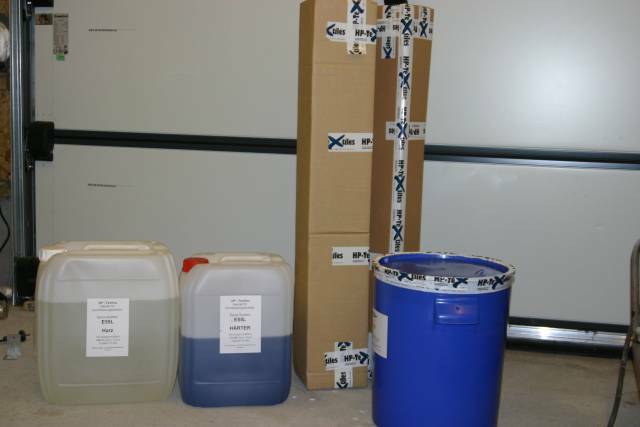 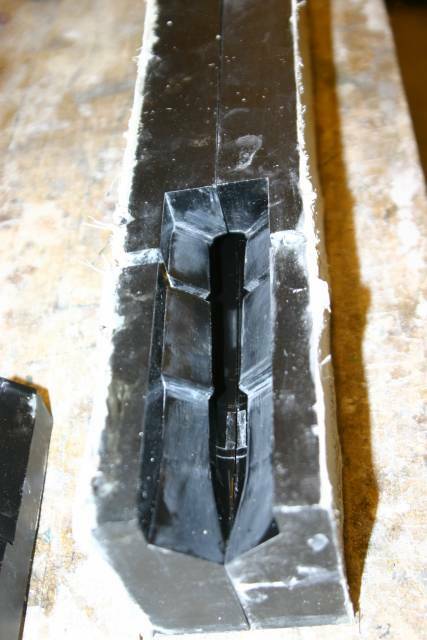 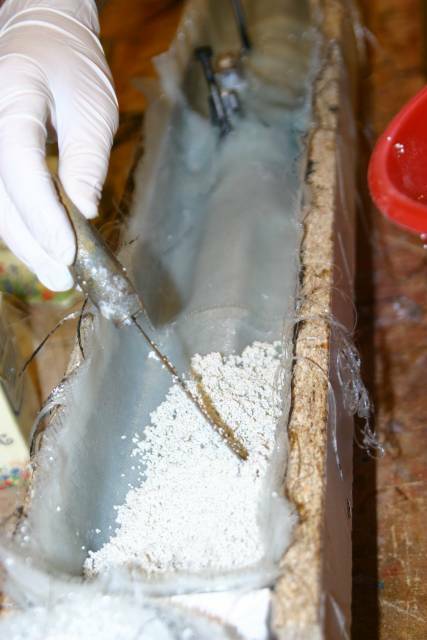 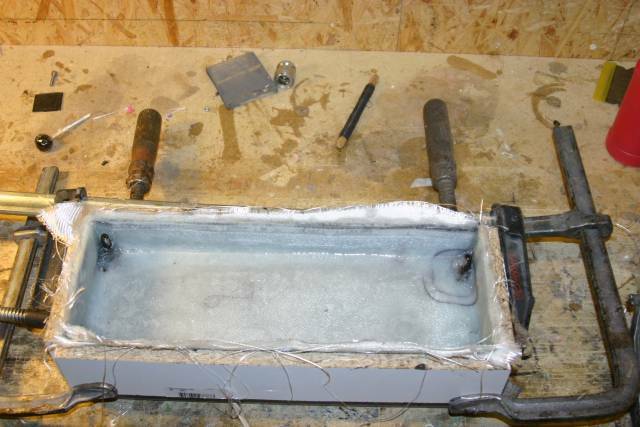 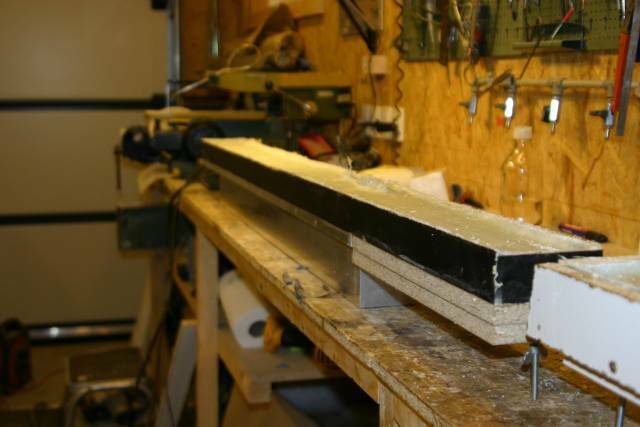 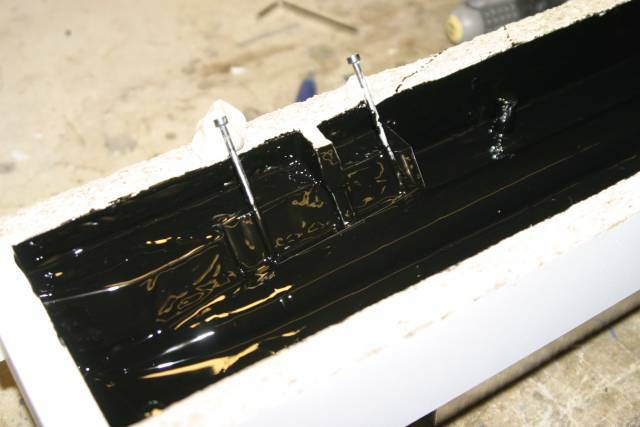 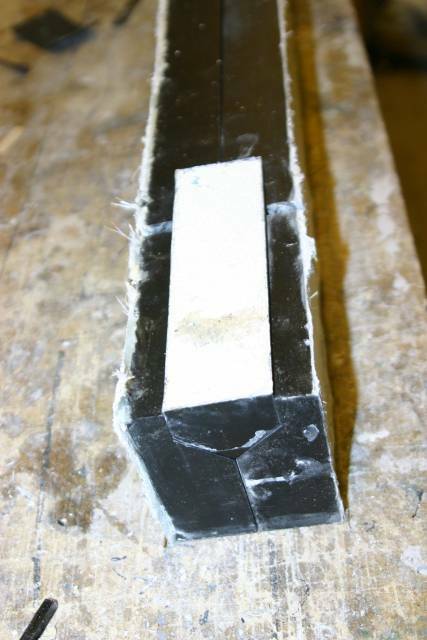 Blähglaskugeln (Poraver) mixed with epoxy is filled up in the mould. 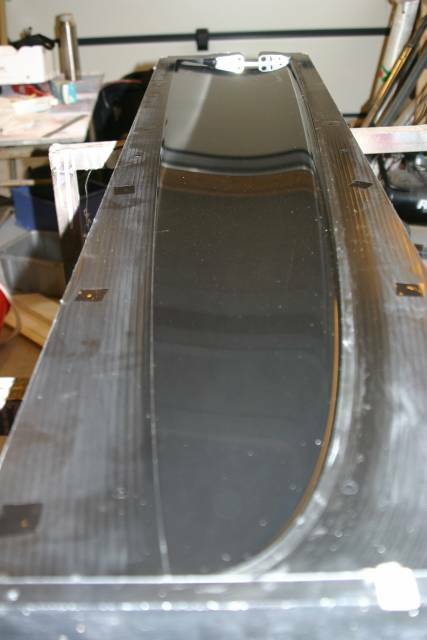 On top of the Poraver we have put 2 layers of 660g/m2 glasfibre. 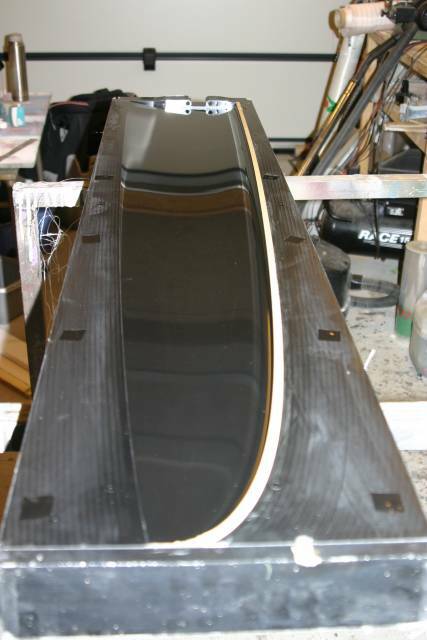 Before the Epoxy is totally hardened we cut the edges with the vibrating cutter. 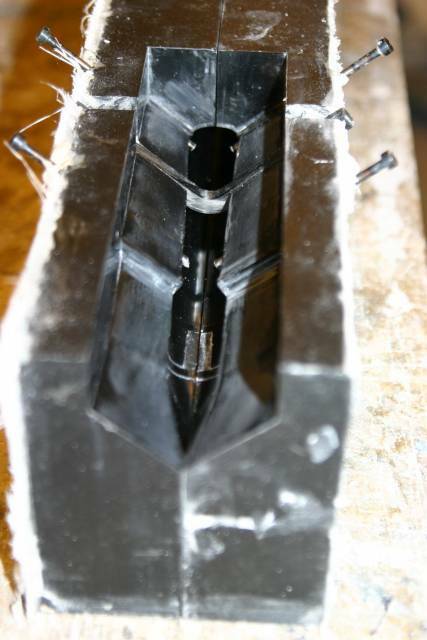 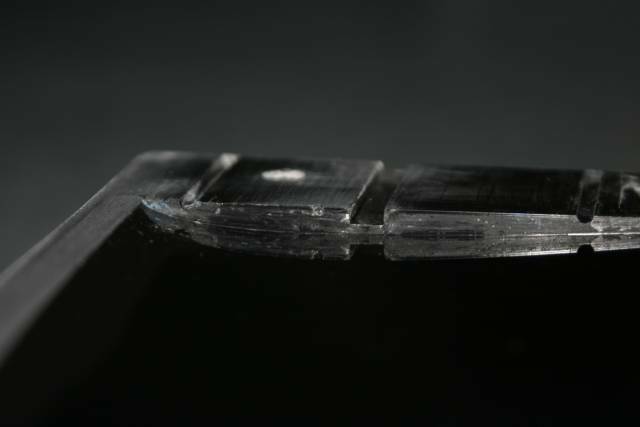 The Small mould for the end of the fuse. 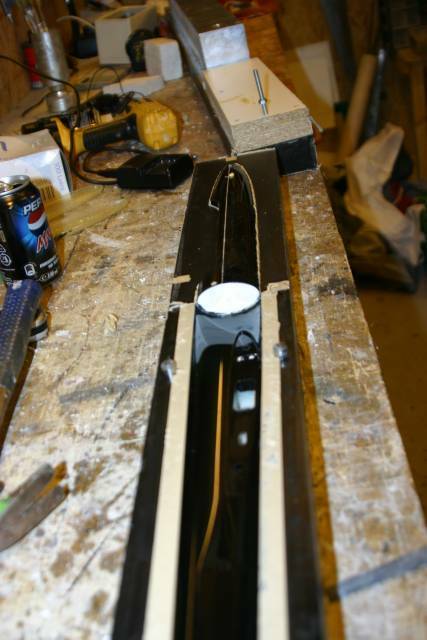 First we remove the small parts for the joiner etc. 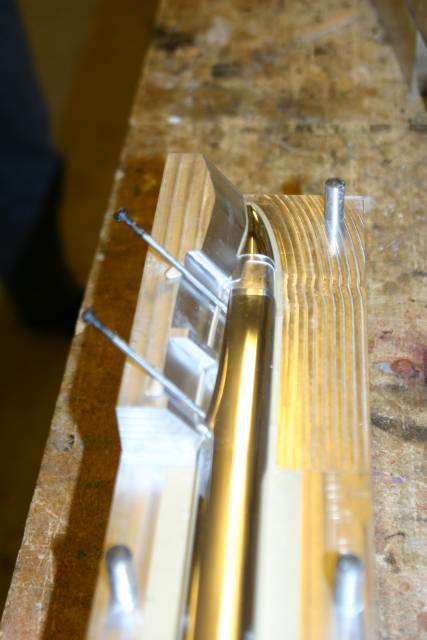 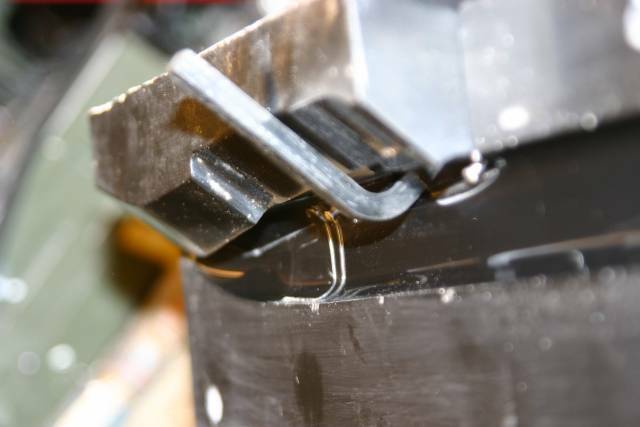 Under the guidepins in the positive, we have M6 threads, so vi kan press the mould of the positive with screws. 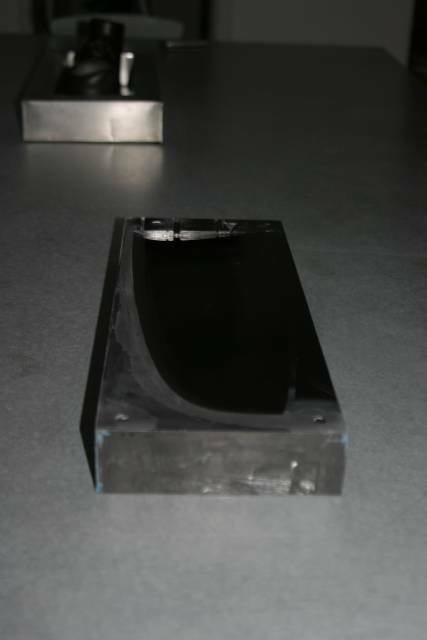 The innercone positive is still in the mould. 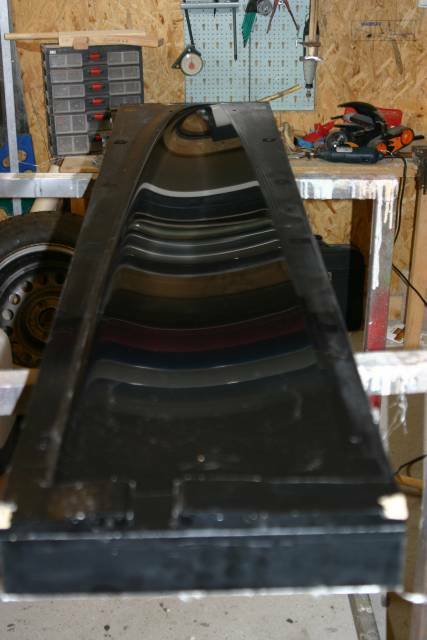 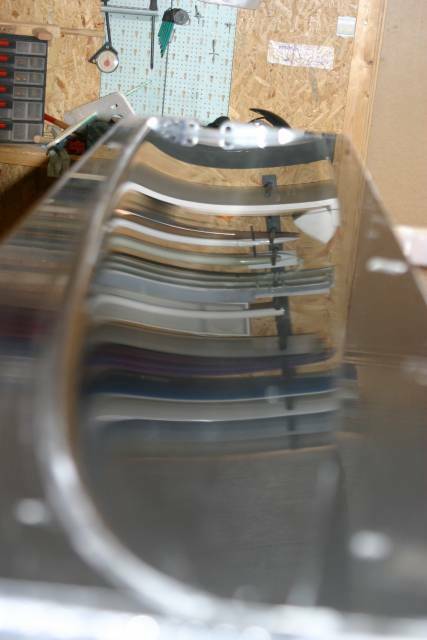 Cores for making the joinerhole, guidepinholes and connectorholes in the Fuselage. 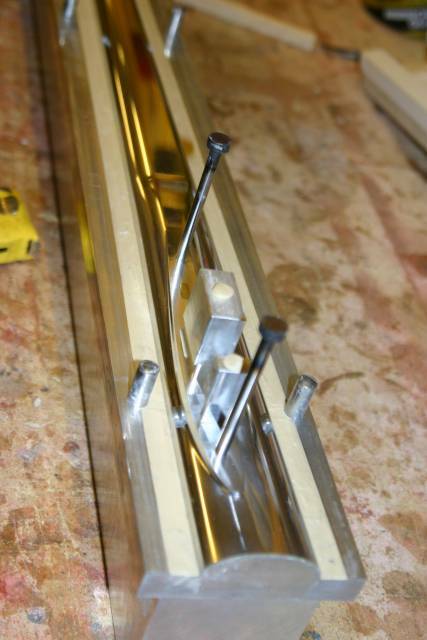 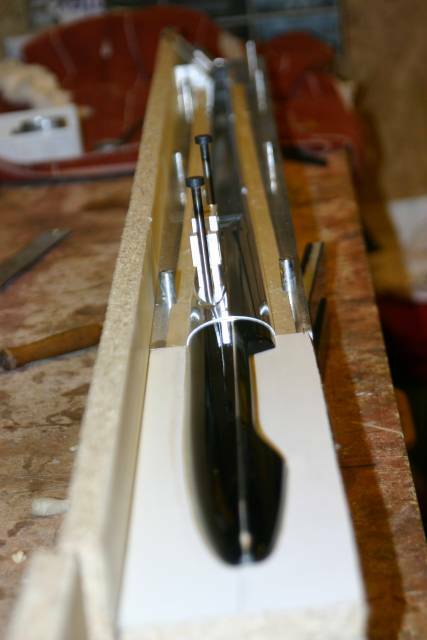 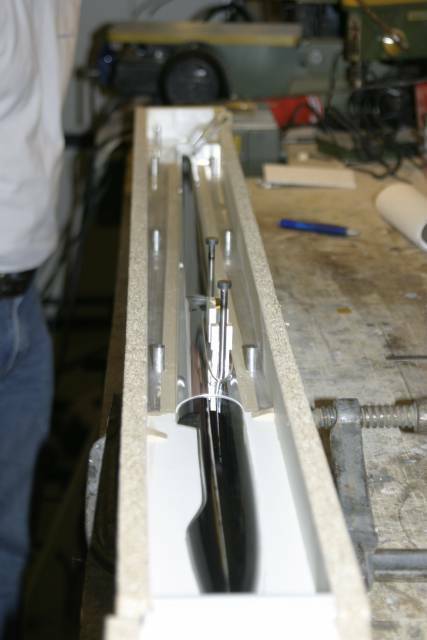 Again, but with cores and v-tail-joiner mounted. 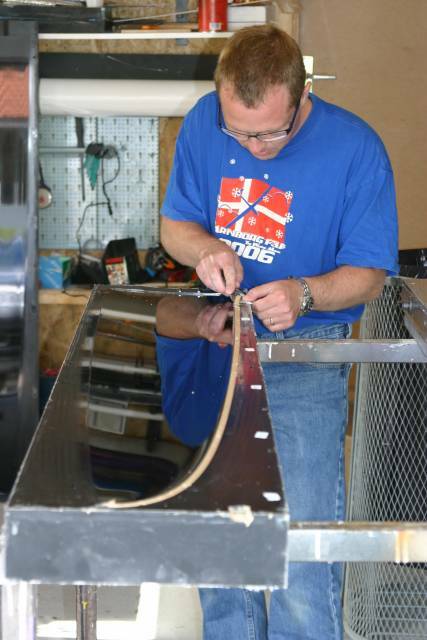 John and Jan is sanding the partingplane on the leading edge, to remove the little extend material that the slot with the "modelliermasse" leaves. 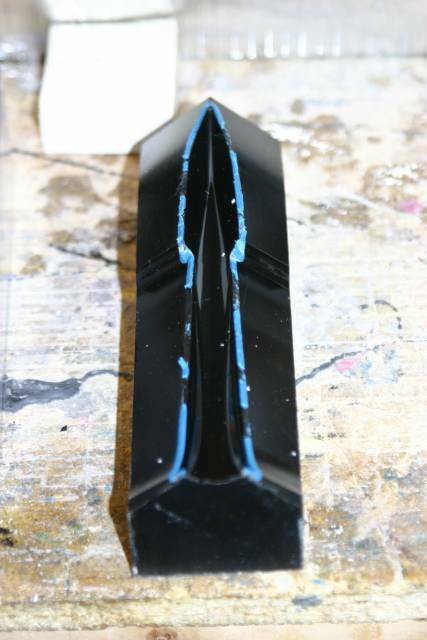 This also makes the edge of the mould totally sharp. 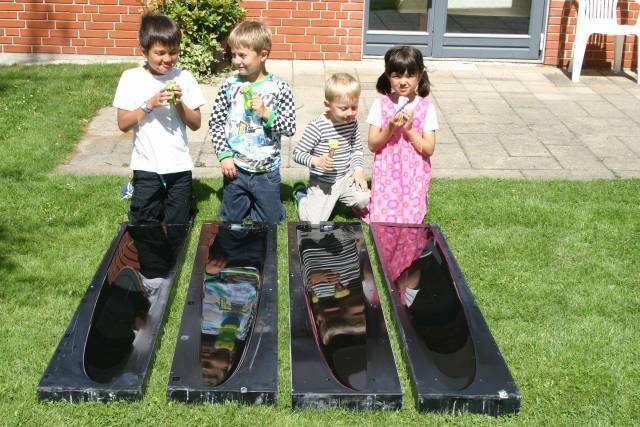 Children who have not seen their dad the last long while..